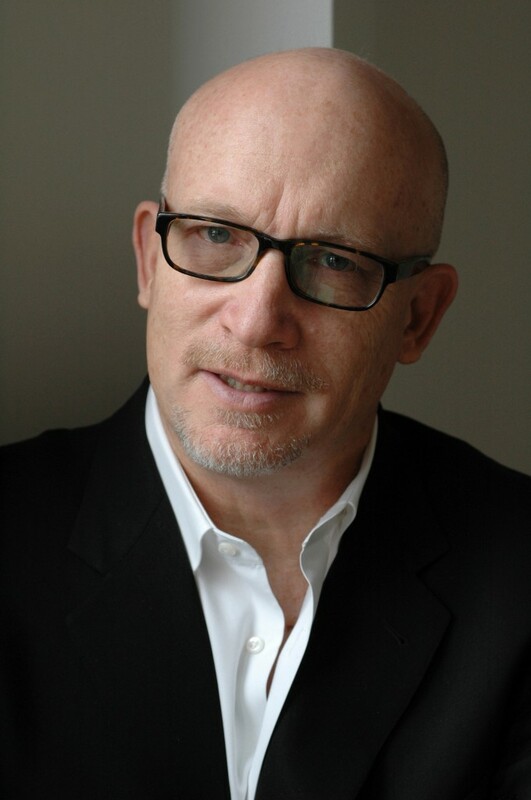 Director Alex Gibney has been called “the most important documentarian of our time” by Esquire Magazine (Esquire) and “one of America’s most successful and prolific documentary filmmakers” by The New York Times (The NY Times T Magazine). Gibney’s signature cinematic style lends itself to his penetrating, gripping, and deeply insightful documentaries which have been the recipient of the Academy Award®, multiple Emmy Awards, the Grammy Award, several Peabody Awards, the DuPont-Columbia Award, The Independent Spirit Award, and The Writers Guild Awards. In 2013, Gibney was honored with the International Documentary Association’s (IDA) Career Achievement Award and the first ever Christopher Hitchens Prize in 2015. Gibney’s recent films include: the triple Emmy and DuPont-Columbia Award-winning Going Clear: Scientology and the Prison of Belief, which premiered at Sundance Film Festival in January 2015 and on HBO in March 2015 becoming the most watched HBO documentary in a decade; Sinatra: All or Nothing At All, a two-part special on the life, music and career of legendary entertainer Frank Sinatra, which premiered on HBO in April 2015; and Steve Jobs: The Man in the Machine, an evocative portrait of the life and work of Steve Jobs that re-examines his legacy and our relationship with the computer, which made its world premiere at SXSW in March 2015 and was selected as the opening film for the 58th San Francisco International Film Festival in April 2015. The film was released by Magnolia Pictures in theaters and on VOD in September 2015, and it premiered on television on CNN in January 2016 as the number one show in its time slot among the cable news networks. In 2015, Gibney was awarded a Peabody Award and nominated for a Grammy for Mr. Dynamite: The Rise of James Brown, a popular HBO documentary which chronicles the musical ascension of the “hardest working man in show business.” Gibney took home three Emmy Awards in 2013 for Mea Maxima Culpa: Silence in the House of God, an Emmy in 2013 for Showtime’s The History of The Eagles, and a Peabody Award in 2012 for Park Avenue: Money, Power and the American Dream, which was part of a series produced by the BBC and PBS. His Sony documentary about Lance Armstrong’s spectacular fall from grace, The Armstrong Lie, was short-listed for the 2014 Academy Award®. It was also nominated for the 2014 BAFTA Award, along with his Universal film We Steal Secrets: The Story of Wikileaks. Additional projects from Gibney’s extraordinary career include Finding Fela, the story of Fela Anikulapo Kuti’s life, his music, his social and political importance; My Trip to Al-Qaeda, based on the one-man play by Pulitzer-winning author Lawrence Wright, which marked the first of many collaborations with Wright, including one currently in the works; Casino Jack and the United States of Money, detailing the lies, greed and corruption surrounding D.C. super-lobbyist Jack Abramoff; Client 9: The Rise and Fall of Eliot Spitzer, a close examination of the rapid rise and dramatic fall of New York Governor Eliot Spitzer; The Last Gladiators, a look at the National Hockey League’s most feared enforcers; Magic Trip: Ken Kesey’s Search for a Kool Place, a time travel immersion experience about the famous 1964 bus trip taken by Ken Kesey and the Merry Pranksters; and Gonzo: The Life and Work of Dr. Hunter S. Thompson. Gibney also directed the Sports-Emmy-nominated Catching Hell and Ceasefire Massacre for ESPN’s “30 for 30” summer screen series, and executive produced Academy Award® nominated No End In Sight. Recently, Gibney’s Jigsaw Productions has expanded into television series with its first project Death Row Stories, Executive Produced by Gibney and Robert Redford for CNN. Exploring a different capital murder case each episode, Death Row Storiesquickly became a popular CNN Original Series with season 2 premiering in July 2015. The company also produced Edge of Eighteen, a groundbreaking series for Al Jazeera America where Jigsaw mentored high school seniors as they filmed their lives on the brink of adulthood. Gibney’s Zero Days premiered to critical acclaim at the 2016 Berlinale. Magnolia Pictures will release the film in the summer of 2016 with Showtime releasing it on TV in the future. Jigsaw has an active slate of highly visible TV series: The New Yorker Presents, a series which brings to life the award-winning The New Yorker magazine, premiered as a special event at the 2016 Sundance Film Festival and on Amazon Video in mid February, Cooked, a four part docu-series that is based on Michael Pollan’s book, premiered at the Berlinale, in the culinary section, and later on Netflix Global, with Gibney directing the first episode of the series called “Fire”, Death Row Stories, a popular CNN series executive produced by Gibney and Robert Redford, that explore difficult questions about the US capital punishment system, is on its third season now, Edge of Eighteen, a groundbreaking series for Al Jazeera America where Jigsaw mentored high school seniors as they filmed their lives on the brink of adulthood and Parched, a four part investigative docu-series about the water crisis, which will air globally on NatGeo in 171 countries and will have a limited theatrical release. Gibney is set to direct his first narrative feature film, The Action, for Lionsgate, based on Betty Medsger’s book The Burglary: The Discovery of J Edgar Hoover’s Secret FBI. He is also writing and directing a drama series for HBO, with Laura Dern starring and executive producing, about a court-appointed psychiatrist who must determine if the death row inmates she examines are sane enough to be killed by the state. Gibney is represented by UTA and Chelsea Pictures.